My Birthday - Age, Adventures, And CAKE! 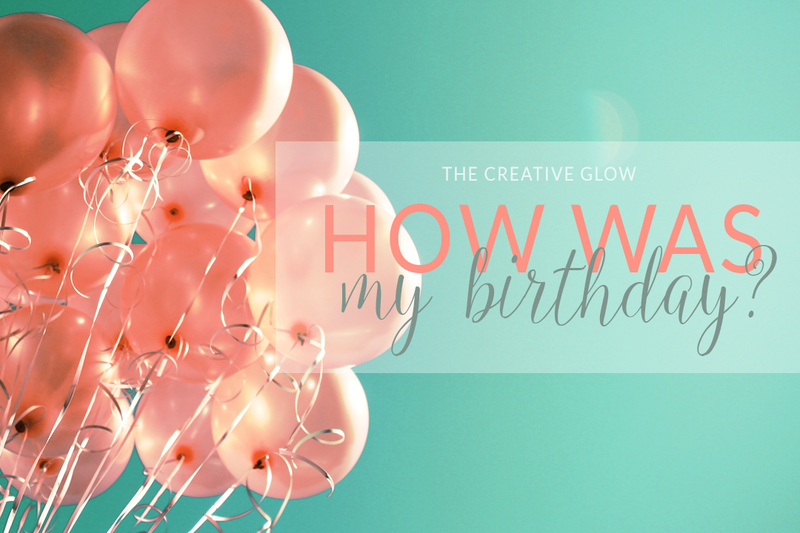 | The Creative Glow: My Birthday - Age, Adventures, And CAKE! To be honest, I don’t feel bad at 33.. or 32. I had a harder time with 29, 30, and 31. Now I just think I am happy to be doing what I am doing, and I’ve also learned to embrace my age (which really isn’t very old, I know) because so many people tend to think I am quite a lot younger than I actually am, and it just makes me feel good knowing I must be doing something right and taking good care of myself… although, I do need to credit my genetics as well for that! I mean, my mom looks at least 10 years younger than she is, and her mom (my Nanny) doesn’t look her 75 years either, and they’ve passed that on to my sister and I so it seems. 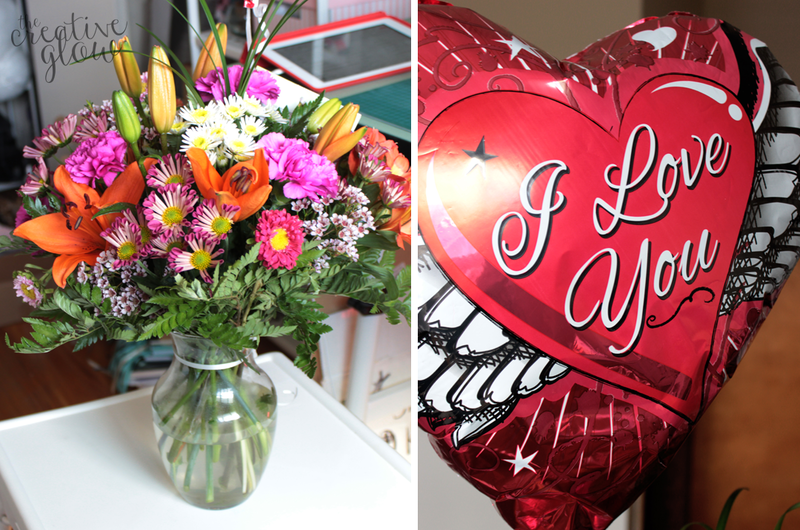 I was pretty spoiled by my boyfriend as I normally am, especially on special occasions. First he got me some really nice oil paints to get me started in this new to me medium. 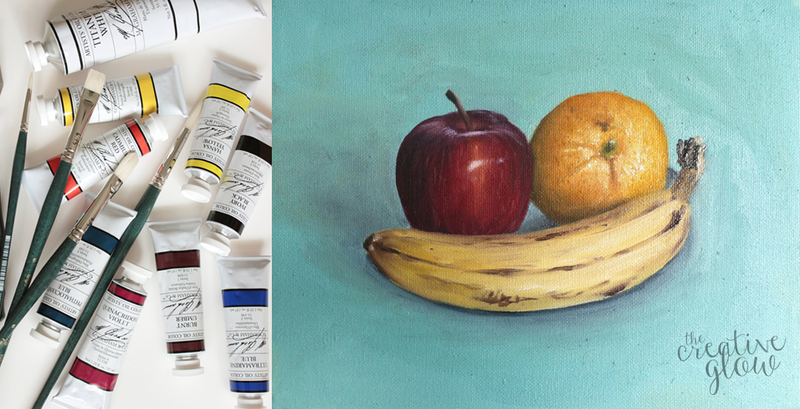 I’ve been wanting to start oil painting for many years now. I’ve been drawing since I was young but more seriously since about 14. After high school I studied at art school, but never got the chance to take any oil painting classes. I have done a lot of painting, but primarily watercolor. So I was so , SOOO excited to finally get into this. I did a very small 8 x 10 inch practice painting to get a feel for working with them. I’ve got a ways to go since I really want to get to a place where I have a looser style – sort of semi-impressionistic. I’ve always been fascinated by detail and it shows in my work (check out my Art Series Posts for examples) and I have a hard time to step away from that. After we spent so much money at the art store (oil paints are quite expensive), we went shopping because Victor said he wanted to buy me some clothes too, but now the budget was a little smaller. I was supposed to pick out one thing, which I did, but then the sweater I chose was paired in the store with a really cute top that he also insisted on getting me. I even objected to him spending so much on me, but he wanted to get it – spoiled I told ya! I also got a special flower delivery from my mom in the morning! They are so cheerful and bright and so nice and it’s such a nice full bouquet! I really love them and I was so surprised! And, there was a cute balloon attached to tell me how much she loves me! She’s so sweet and only the most amazing person I know – not just the best mom, but truly, truly, the most amazing person I’ve known! Love her! The gift she got me hasn’t arrived yet but she always gets me something thoughtful so I know I’ll love it, too! Oh, I also got a nice Easter Lilly plant from V as well! Besides that I got lots of birthday wishes from friends and, of course, my family, who I miss so much living all the way on the other side of the country! Maybe one of these years I’ll get to visit home for my birthday and spend it with them (or move back - that would be nice)! :) Victor and I went out to eat and also to a movie and then it was back home for some delicious ice cream birthday cake – my fav!! I had a GREAT day! what a lovely birthday. It's wonderful to hear you had such a great birthday! Really, despite the age. What's even better is the love and support in a person's life. Like your boyfriend and mother. makes life wonderful, despite the difficulties. I hope you get to go back and visit your home sooner than later. Happy Late Birthday, Sam. Thanks for the birthday wishes, Shana, late or not, it's very much appreciated! ♥ It was a great day for sure! My mom is really my biggest supporter - but, really, who's mother isn't? ha ha! Well... the majority of mothers, anyhow. She always shares my stuff as much as she can, wherever she can, and is always trying to help me come up with great ideas! Again, she's just really wonderful! And my boyfriend is too, but in different ways - mostly encouragement! I make sure I get back home at least once a year, but for someone so close to their family, it really isn't nearly enough time to spend with them! I miss them everyday! Glad we have all this technology to help us keep in touch these days, in that way, it really is a blessing!